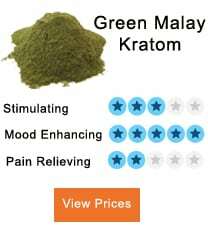 1 Will you pass the Green Vein Kratom Drug Test? 2.1 What about a Kratom Drug Test? 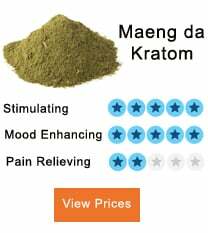 For a long time, Green Vein Kratom has been the savior of many in both recreational and medical world. However, not all countries approve the use of Kratom among its citizens. Various studies have led to the disapproving of Kratom use in food supplements because of the effects it causes. Factors that determine the elimination of Kratom among others. Even though there isn’t much research on Kratom and especially on matters of drug test, Green vein Kratom is a herb that contains a high content of mitragynine- an alkaloid in Kratom. This ingredient is well-known for its opioid effects. 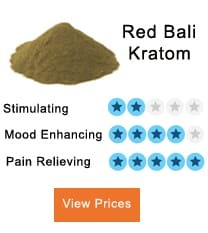 By the fact of having the opioid effect, Food and Drug Administration raises a red flag on the potential of this Kratom strain to have an addictive effect on the perpetual consumer. One of the effects of the opioid is to cause relaxation and anxiety, which has similar results as heroin and opium. What about a Kratom Drug Test? This is where the rubber meets the road. Whether one will test positive or negative in this case, some factors have to come into play including the time of testing and the type of drug test; blood drug test, urine drug test or Kratom hair follicle test. During the green vein Kratom drug test, one may test positive or negative. It doesn’t just happen; it all depends under what circumstances one is being tested. For instance, it is crucial to note how long this herbal drug stays in the body and how first one’s body can eliminate. Under normal consumption- the Green Vein Kratom will be in the body and will test positive on a Blood test. This can actively be seen within 24 hours during the blood test. For other tests like the urine test, within seven days after consumption, the Kratom will test positive. Precisely, to the many who ask, will Kratom show up on a drug test? The answer lies in the aspect of time, and how frequent one uses. For low consumers, after a day, the blood test may test negative, and within a week the urine test may test negative as well. Half life means the time the alkaloid takes to get out of the plasma. Generally speaking, the shallow research on the kratom’s half-life makes it challenging to give a concrete answer about it. However, based on the various studies, there is something to look at on half-life of Kratom. Within 24 hours, the elimination of Kratom takes place. 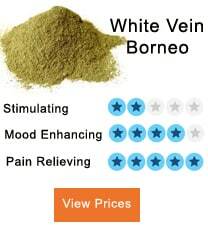 In other studies, doing a blood test after the stated period the user will test negative of the green vein Kratom. Generally, the physiological makeup of a person and the age are the most determinants of how fast or slow the body will get rid of Kratom. Therefore, the Kratom half life drug test is not a straightforward point of discussion. In a Kratom Blood test, a person with a high level of fat content is likely to test positive. The factor here is the behavior of Kratom with the fats. The main ingredient in the Kratom; mitragynine is a soluble content in fat. This means a person with a higher fat content is likely to retain more Kratom. On the other hand, a consumer who has a low-fat content is likely to get rid of the Mitragynine from the body within a short period. The condition of the renal system highly determines how fast the green vein Kratom will get out of your body. People with advanced age, 65 years and above are likely to have weaker renal systems that result in the slow elimination of the Kratom. Due to old age, the other medicines used in treatment slow down the elimination process of the Kratom. It can be very devastating for Kratom panel drug test to give you an otherwise outcome of the blood or urine test. Though, many cooperate institutions opt to take opiate tests on other employees; old, new and those on probation. You may be wondering, will Kratom make you fail a drug test? Hardly do companies test for Kratom. But it is important to take precautionary measures like staying away from green vein Kratom before the test comes at your door. During these tests, Kratom hair follicle test is not so common. 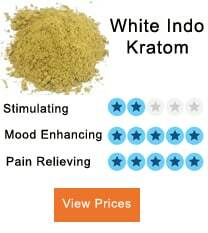 The most accurate is the Kratom urine test. Within a whole week after consumption, the metabolites may still be detected. Anyway, can you receive false results? The answer is YES under circumstances. The prescribed medications can lead to your testing positive. It is vital to attend credible and standard clinics too, to avoid misidentification. The good news is, Kratom test for opiates may not be your portion in as much as the Kratom combines with the opioid receptors in the brain to cause relaxation effects. Optics liquid Kratom drug test is hardly done in many labs. In fact, in many companies, they do not shortlist it as part of the requirements for opiates. So even when you are a new employee, no company so far does probation test for Kratom. You are still safe if you have you have used the methadone to treat addiction. In most cases, the Kratom method test does not affect your position in the drug tests. 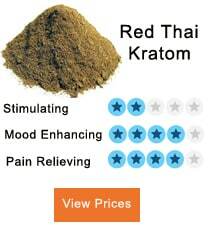 Many people want to know how much does a Kratom drug test cost. The answer is not definite since different clinics have rates depending on the quality of the service. Nevertheless, when a company makes a requirement, you can be sure it is most likely to be at your cost. Green vein Kratom has a high content of the mitragynine which is the alkaloid in the green vein Kratom. This is the content that is a target during the testing. Your ability to eliminate the mitragynine depends on the age, health condition and the fat content in your body. In this test, urine tests are the most accurate in the Kratom test kit.